We found a few more in the closet. So, we are offering them for a limited time. 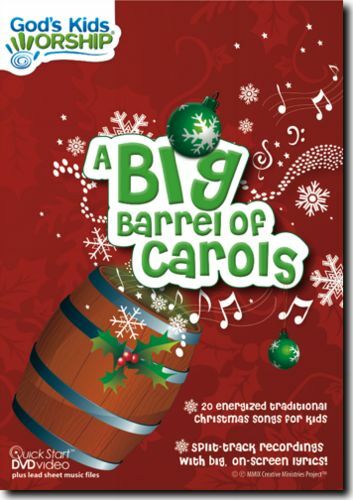 20 fun & easy Christmas carols on a video DVD that kids will love. Minimal rehearsal, maximum fun & value. See and hear these videos on the God’s Kids Worship YouTube Channel. Perfect last-minute solution for quick, easy kids ministry singalongs and performances. Bonus! This Video DVD includes reproducible ".pdf" sheet music files for all 20 songs.